"And I want the bacon extra crispy,"she snapped at the waiter over her shoulder without making eye contact with him. I remember this breakfast very clearly because it was precisely that moment that I realized I couldn't hire this person even though she was qualified for the role. I've hired more than 100 people to join various teams over the last 20 years. While my track record is generally strong, it's far from perfect. And I now realize that a key indicator of any good candidate is going out to a restaurant with them. There is so much you can learn during an hour of dining with someone – the type of diner someone is can subtly reveal what type of employee they may be. The way they interact with the restaurant staff. How a person treats a server can tell you a lot. If they're polite and treat the wait staff with respect, you can intuit that person is likely to be a good manager and not someone who gets hung up on hierarchy. You can also glimpse their ability to be collaborative. If they're haughty, aloof or overbearing, that could prevent strong relationships with peers or cross-functional partners. Conversely, being friendly, personable or appropriately chatty are strong signals that this person may have the ability to win the admiration of people at all job levels – a valuable skill in any large global organization. The way they order their meal. If someone hems and haws over something as simple as how their two eggs should be cooked, they may also have a hard time making important decisions at work. It's important to be able to make decisions with both speed and quality in the fast-paced business world. So, if someone is unable to decide between the Caesar salad and the fish tacos, they're likely to struggle prioritizing during, say, budget allocations. If they ask for lots of substitutions to one of the chef's creations, you may be uncovering some high-maintenance tendencies (unless, of course, they have food allergies) or you may be on the verge of hiring someone who wants to play by their own rules. Do they show up on time? Do they use a napkin and chew with their mouth closed? If you are picking up the tab (which you should be if they're interviewing for a role at your company), do they say "thank you" to you at the end of the meal? Just like your mom always said, manners are part of common courtesy and showing respect to others. If your applicant seems anything but pleasant and not like "the kind of person you want to go have a drink with,"you may want to think again before making that offer. Basic manners are not skills that will suddenly develop in the weeks before that person starts working on your team. Of course, none of these observations should be considered in a vacuum. It may be the case that some potential employees just need some training and coaching. But if you're hiring for a senior leader on your team, remember that ingrained habits are hard to break. And whatever behaviors you spot during breakfast or lunch are quite likely to pop up again in other settings. Trust your gut. 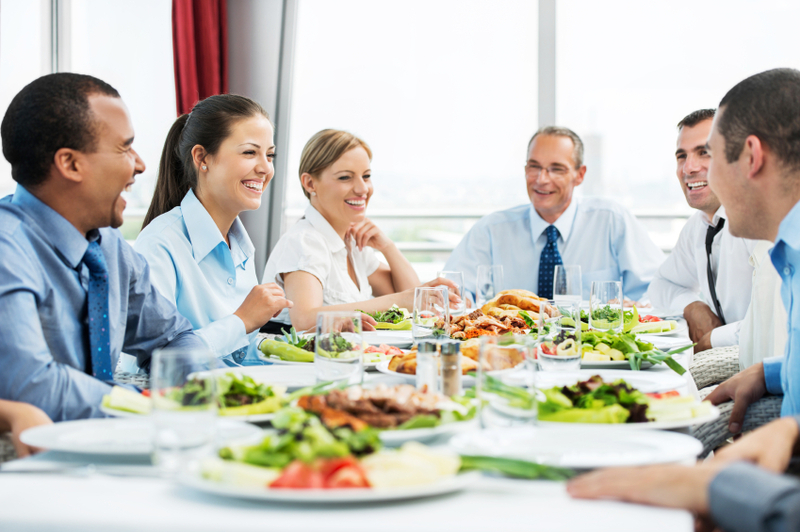 If you have any hesitation about your lunch mate during an informal meal, don't chalk it up to their nerves. It's likely a sign that you shouldn't hire them. And while I felt compelled to share these thoughts because I thought they could be useful for interviewers, what I really want to know is …. will anyone want to dine with me again? ?